Customize bachelor party hats! Get the groom and groomsmen awesome neon trucker hats to wear while they party and celebrate the groom-to-be before his big day. 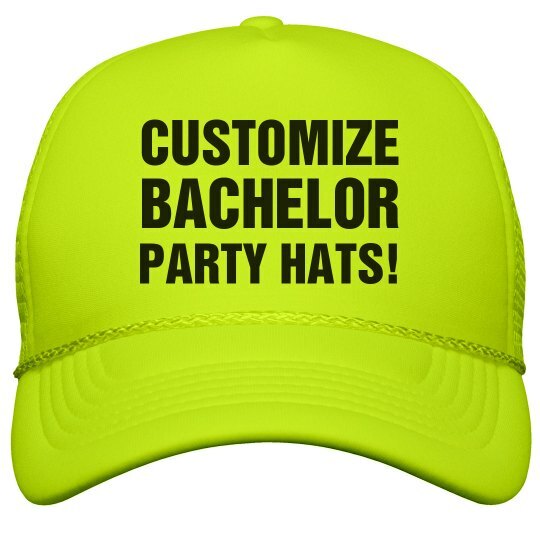 Custom Text: CUSTOMIZE | BACHELOR | PARTY HATS!